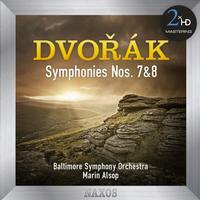 Experience Dvorák’s most dark and passionate symphony, the Seventh, accompanied by his Eighth. The work is notable for its dramatic contrasts, Bohemian lyricism, and a extemporaneous flow of ideas. components and connectors. The process begins with a transfer to analog from the original 24bits/96kHz resolution master, using cutting edge D/A converters. The analog signal is then sent through a hi-end tube pre-amplifier before being recorded directly in DXD using the dCS905 A/D and the dCS Vivaldi Clock. All connections used in the process are made of OCC silver cable.